Attracting new website visitors can be costly and many marketing budgets simply won’t stretch to cover expensive brand awareness campaigns. So how do you increase your website’s revenue without pro-actively targeting new visitors? Simple, convert more of your existing visitors. Behavioural economics is the study of the effects of social, cognitive, and emotional factors on our economic decision making. Simply put, it’s the reasoning behind why we make purchasing decisions. There are many great authors in the field of behavioural economics who have written extensively on a variety of techniques that marketers can use to heighten the chance of conversion. In this post we’ll look at 4 ways you can use behavioural economics to increase your hotel websites conversion. By providing points of reference (Offers 1 and 2), Offer 3 looks particularly attractive (just £/$ 10 more for breakfast included on a 3 night stay!). The reality is, Offer 2 is a ‘decoy offer’. It’s primary function is to make Offer 3 look more attractive by comparison and therefore encourage more people to purchase it over Offers 1 and 2. Without Offer 2, many may have chosen the cheapest offer, Offer 1, rather than have been encouraged to spend more. The author and Professor of Behavioural Econonics, Dan Ariely, talks extensively about the principle of ‘Arbitrary Coherence’ in his book Predictably Irrational . Essentially, the theory is that we may not know how to value something initially and the first price we pay for a product/service can therefore be somewhat random or ‘arbitrary’. However, once we’ve established an initial price in our minds as an anchor point, we shape our present and ongoing expectations of price (coherency). For example, you may have once stayed in a 5-star hotel in central London and paid £/$ 500, therefore your ‘anchor price’ of what you’d expect to pay for a 5-star stay in London is £/$ 500 a night and you’ll compare future pricing against this mark (albeit consciously or subconsciously). Guests that don’t have an anchor price in mind may well use OTAs to see what the consensus pricing is for a location. So what can you do on your site to help establish an anchor price for those that don’t have expectations already? Show a ‘Rack Rate’ with a strike through - e.g) Rack Rate £/$ 400, Book Today for £/$ 300 … can potentially give guests an idea of what the anchor price could be (if they were paying full price) – the equivalent of a RRP (Recommended Retail Price) in traditional commerce. Consider showing ‘Average Rate in Location’ messaging - If you have strong market parityor are cheaper than your competitors, why not consider showing an ‘average price’ of a room in your area for comparison – e.g) alongside your rate of £/$ 350 show ‘Average price of a room inlocation is £/$ 400′. This provides an anchor by location and may stop guests exiting the booking process to check how you compete on pricing. You may want to caveat the average price as checked monthly etc for transparency, depending on how you obtain that figure. Establish your own anchor points - establish new anchor points for guests by adding new and unique elements into your rate – for example ‘Rate includes afternoon tea on arrival’. This can work well in saturated markets where price isn’t really one of the main factors in booking (e.g luxury hotels and high net worth guests). 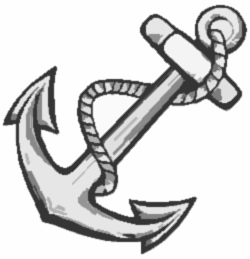 This helps establish your pricing as the anchor, rather than that of your competitors. It may sound obvious, but consumers like ‘FREE‘ things. Often, little consideration is given to accepting something that’s free, creating a somewhat irrational excitement amongst us. Guest behaviour may surprise you; if you offered a guest a £/$ 10 restaurant voucher for free, or a £/$ 20 voucher for just £/$ 5, studies have shown that they’d likely pick the free option (despite the latter having a greater reward of £/$ 15 free spend) What can you do to turn our irrational behaviour into bookings? - Add FREE dinner to your booking when you stay on X dates. Adjust the room rates accordingly to factor in the price of dinner. Monitor any uplift in room sales on these dates. - Offer a FREE spa treatment when you spend over £/$ X, ensuring that there’s enough profit margin in X amount of spend to comfortably cover the treatment costs and monitor any increase in average guest spend. - Often the word FREE is perceived negatively in association with premium and luxury brands, but consider testing two versions of an offer; one that mentions FREE and another that mentionsCOMPLIMENTARY. Test whether the word FREE resonates better with your guests and results in better conversion. - Restricting the option of getting the same deal again later – make use of advance purchase rates or limited time offers with ‘book-by’ dates. Convey an impetus to book, highlighting that indecisiveness could mean missing out on a fantastic experience at your hotel. Help a guest understand the consequences of not making a decision can sometimes be more costly than making the wrong decision. Our internal thought-process may mean we book because we don’t want to miss out. - Consider a trial where advanced purchase and best available rates are combined for a date range (decide upon a profitable rate with flexible terms, that doesn’t compromise your profitability). Evaluate whether the reduced options (only having a single rate option) results in a greater conversion for those searching that particular date range. Monitor results to see if there’s any increase in bookings and occupancy levels and whether this is more profitable than having multiple rate options and lower occupancy levels. Sam is a digital marketing professional from Edinburgh, Scotland, with both client-side and agency experience. I also have a strong background in hospitality and travel.